“The first time I heard music that completely destroyed me,” Katie Melua recalls, “was Beethoven’s ‘Moonlight Sonata’ that my mum was playing on the piano when I was six years old.” It’s a memory she’s reflected upon from time to time over the years, but for her its resonance remains profound. 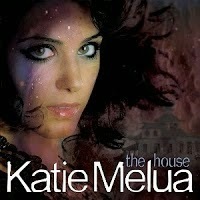 That sense of immediacy underscores Melua’s current album, The House. It’s her fourth studio effort since her multi-platinum 2003 debut, Call off the Search. Subsequent works, Piece By Piece and Pictures, have yielded further success for Melua, who’s sold in excess of ten million albums to date and who, in 2007, became the biggest-selling British-based female artist in the world. With such accomplishment comes creative freedom and so for The House Melua and her longtime manager, Mike Batt, sought out renowned techno/electronica producer William Orbit, whose extensive credentials include works by, among others, U2, Madonna, and Prince. “William is just one of the best producers out there,” Melua says in admiration. Although she knew of his background, she didn’t at first anticipate how they’d spark as a creative team, but she was admittedly intrigued by the prospect. “I liked the fact that he was a bit of unknown to me,” she says, “in the sense [that] I didn’t really know what to expect.” After listening to a batch of demos he was sent, however, Orbit responded with praise and encouragement, much to Melua’s delight. “He didn’t just like the sort-of up-tempo, more-pop songs,” she says. “His favorite of the demos we sent him was ‘I’d Love to Kill You,’ which is a really personal, intimate track.” Indeed, the song, which opens the album, creeps forth to a taut acoustic guitar, veiled around a suggestive, beguiling vocal. “He also respected the organic way [of recording] instead of the more-electronic field that he tends to work in,” she adds. In fact the album doesn’t reflect any dominant sort of techno or electronica vibe nor does it signify a radical departure for Melua, but rather the progression of her artistry. Standout cuts like “Twisted” and “God on the Drums, Devil on the Bass” bear this out, introducing rich, swirling grooves and ethereal sensations. Also among the most striking performances on The House is “The One I Love is Gone,” penned by the late bluegrass legend, Bill Monroe. Introduced to the song on a various-artist compilation given to her by a friend, Melua was so enamored of it that she performed it in concert last year. Interpreting works of other artists is nothing new for Melua, having covered Randy Newman’s “I Think It’s Gonna Rain Today,” The Cure’s “Just Like Heaven,” and Leonard Cohen’s “In My Secret Life,” among others, on her recordings as well as in her live performances. As far as how she engages such songs in contrast to her own compositions, however, Melua says she doesn’t apply two distinct philosophies. “As a writer and as a creator I know that music is such a fluid thing,” she explains. “It never stays solid. So when I’ve written a song and released it, it’s then about only the person listening to it. Asked how she’s evolved as an artist in the near decade of her distinction, Melua is at turns reasoned and reflective. “On the one hand the straightforward answer is that I feel like I’ve evolved in such huge leaps and steps,” she says, “but the funny thing is, the more I grow up and kind of think about myself as an artist and think about what I’m trying to do, it’s as if everything that I learn is about complete and utter simplicity.